Foodie Singles are the growing kit for food lovers, chefs and gardeners alike. The kits feature a stylish square, tapered tin planter, nicely packaged with a kraft board wrap enlivened with the humorous hand-drawn text of illustrator Joel Holland. 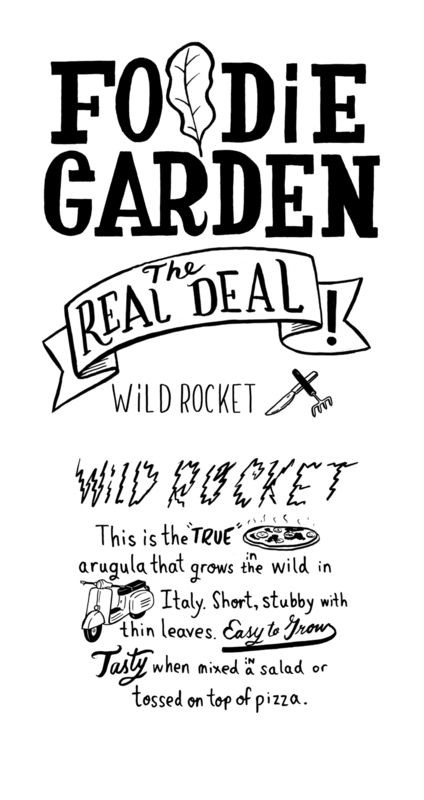 Four kits are available: “Dark-N-Lovely” grows Black Cherry Tomatoes; “The Real Deal” grows Wild Rocket, “Cinn-O-Mite” grows Cinnamon Basil, and “Hot Bonny” grows Scotch Bonnet Peppers. The kits are complete with coco fiber wafers, seeds and instructions. Once started, all the plants can be transplanted to patio containers or the garden to fully mature.